Nathan Jones: Carl, what do you say to the people who are claiming that the people who are coming to Jesus through Kaduri's revelation about Jesus being the Messiah are coming to a different Jesus? I assume they only have to go to Zev Porat's website and watch the testimonies of the Orthodox Jewish people giving their lives to Jesus Christ? Carl Gallups: Yes, They can go to messiahofisraelministries.org. I've had Zev on my radio program several times, too. The man is a gem of a Christian. He knows the Scriptures, he's contextual, and he's as solid as any one of us here. He preaches Jesus is the Word. The desire of his heart is to take the message of Jesus to the Jews first, and to the Gentiles, as well. I think of Zev Porat like a modern day Apostle Paul. He has a heart for the Gentiles, but the first thing he wants to do is go to his own brothers. Dr. Reagan: The Jewish people love to read because they have one of the highest percentages of books in the world per person.You know they knew there hadn't been any books written about Kaduri yet, so they really wanted to read your book. Carl Gallups: Yes, and by the way, the movie now has been subtitled into Hebrew and Spanish. The reason I wanted it in Spanish is because I have a lot of contacts in South America. What I didn't realize until Zev told me is that there are a lot of Spanish speaking people in Israel today. So, you can see God is working powerfully through all of this. Dr. Reagan: He's opening doors across the United States for you to show the film in churches, too? 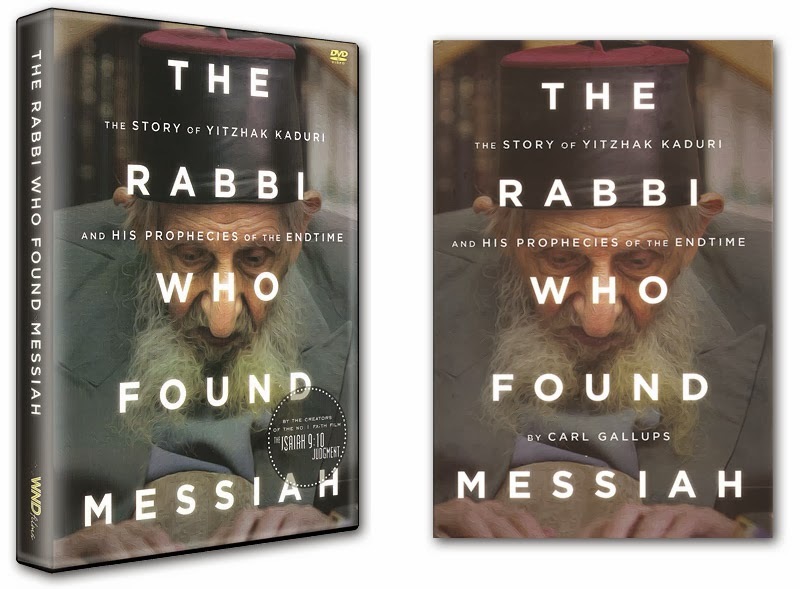 Carl Gallups: Yes, churches all over America are showing my film on the Kaduri story. I've been getting tons of positive feedback, even from some of the most fundamental, conservative churches and pastors. Once they watch the movie, they understand it in its context. Most of the criticism I get are from people who have not watched the movie or read the book at all. They haven't even tried to understand it. Dr. Reagan: Nine times out of ten, when I get a critical letter about this subject, you can tell from the letter that they haven't read your book. Carl Gallups: If they would just read it all the way through, then they would love the conclusion. They'll have their questions and concerns answered. Dr. Reagan: I love the way you conclude your book, The Rabbi who Found Messiah. You write the story down as an investigative reporter, which you were as a police officer before becoming a pastor. You were trained to evaluate the evidence. You ask right at the end, "Why would Kaduri leave such a note if it would only serve to discredit him?" Carl Gallups: That's right. Why would he leave a note saying, "Jesus is the Messiah?" Dr. Reagan: Kaduri surely knew what the reaction was going to be. Carl Gallups: That's right. He knew that everyone of his followers would probably shun him. 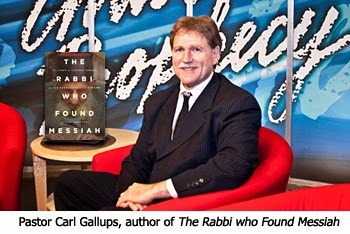 In the fifth and last segment of our interview with Pastor Carl Gallups on the criticisms of the Rabbi Kaduri story, he'll address the criticism about Kaduri not openly witnessing.